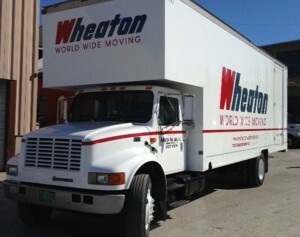 Todd Transportation is proud to be an Interstate Agent for Wheaton World Wide Moving. We know our customers depend on us to provide the most professional, trustworthy moving services available. We take great pride in providing customers with a large variety of moving services, including packing services, shipment protection, moving tips, moving checklists and no-cost, no-obligation moving estimates. We could not have asked for a better experience. Thank you again for your professionalism and friendly service. We will recommend and use your company in the future without hesitation.